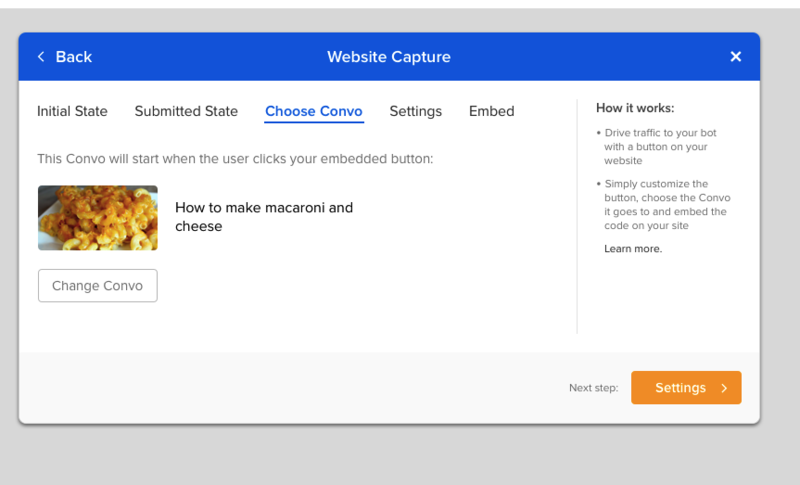 Website Capture is a campaign that helps you promote your bot on your website by embedding a call to action that will lead visitors to Messenger to chat with your bot. 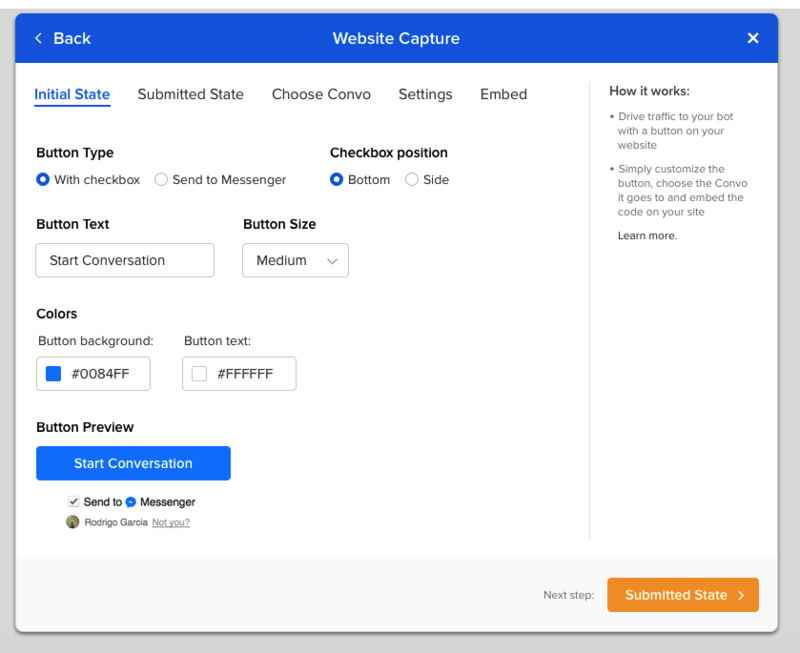 Add a Send to Messenger button on your website that sends a user to a specific Convo in your bot when they are filling out a form, signing up or taking any action. It's a great way to grow your bot audience and re-engage people who visited your site. Does Website Capture opt people into my bot? Yes, if someone clicks a button in website capture they will automatically follow your bot. 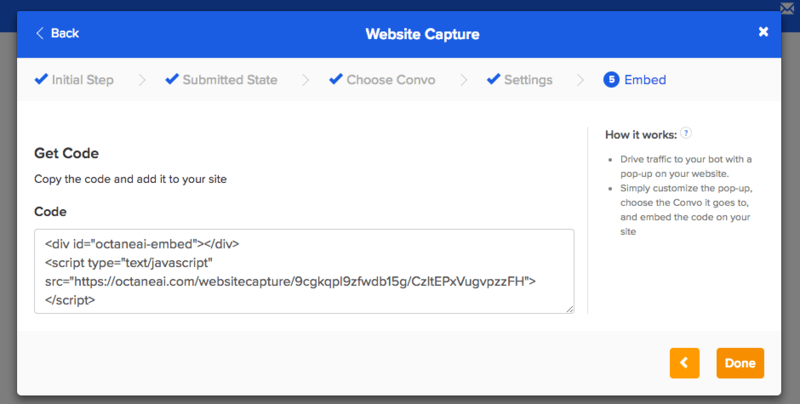 If website capture is used on a Shopify store with Shopify connected, it will also opt people into abandoned cart messages, receipts, and shipping notifications if the customer takes the relevant actions. Where can I find Website Capture within Octane AI? 4. 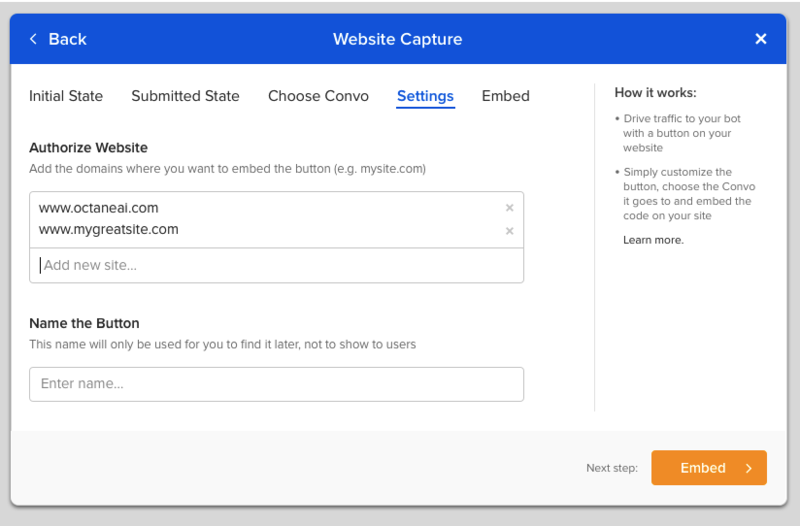 Now that you successfully created your website capture copy code what you get on the embed page and add it to your website. You can add it anywhere inside the body of your website theme, for Shopify you can add it by going to Store theme>theme.liquid and add it in the body of your theme. Once you added the embed code to your site you are all set, in any time you can go back to change button appearance or change convo you wish to promote to your visitors.